The problem is that people don’t think about landscaping until the weather takes a turn toward warmer, blue-sky days and they feel comfortable outside. And that’s exactly the WRONG time to start in on planning a landscape project. A well-thought-out, carefully designed landscape project needs to be planned months before the weather allows construction to start. If you’re hoping to utilize the services of a landscape professional, it’s important to be aware of the “100-Day Race” – that hectic period that starts in late March, or whenever the season begins where you live, and goes right up until the 4th of July. This is the time when everyone is running to beat Mother Nature’s clock and summer’s heat, racing to make sure that every landscape project is completed before holiday and graduation parties and before the summer vacations begin. As a result, most landscape professionals begin planning their spring activities during the previous fall. In fact, by the time they’ve wrapped up their autumn projects before the snow flies, they’ve already lined many of their projects for the next spring’s 100-day race. The bigger question is not so much which month to begin planning, it’s making sure you leave enough lead time to accommodate the size and scope of your landscape project. Property management If you’re in need of someone to professionally manage and maintain your property, it’s best to try to line things up now. If that’s not possible, then reach out to your landscaper no later than April. Keep in mind that to properly assess maintenance needs, the landscape should be emerging from the winter dormancy or in full growth, so that it can be properly evaluated. Small landscaping projects These might be small garden installations and renovations or existing plant bed expansions. Small projects like these usually require one week advance notice to plan and schedule. This lead-time will include ensuring time for proper project discovery and assessment, site analysis, design and estimating. 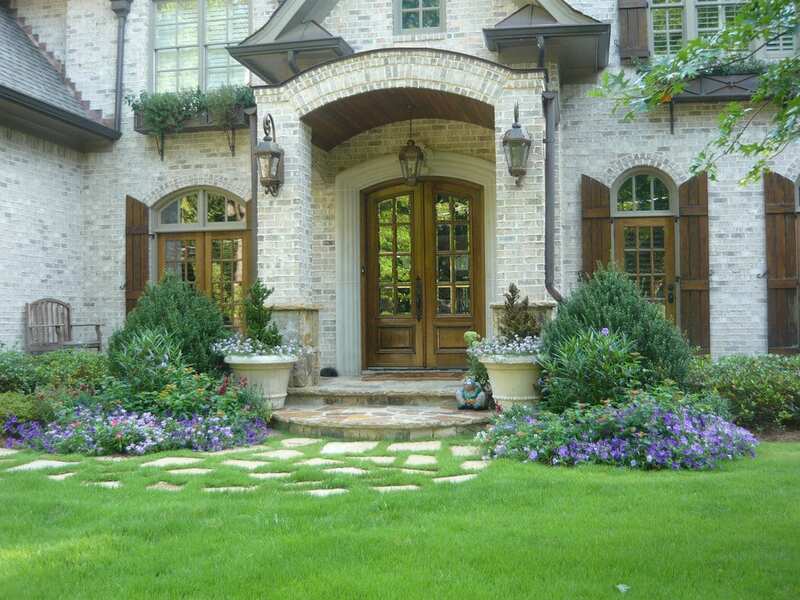 Ideally, you should think about talking to your landscape professional in spring or early summer for a fall project or in late summer or fall for a spring project. Large landscaping projects These can include designs involving hardscapes such as patios, retaining walls, fire pits, and water features; also large-scale garden or plant bed additions and renovations. The more moving parts and more complicated the project, the more time you’ll need because there are unique material choices to be made. If you are in the market for a landscape uniquely suited to your home and your lifestyle, rushing to break ground is the worst thing you can do. If you want to guarantee less-than-satisfactory results or outright failure, rush. It’s the best way to create mistakes and generates increasingly costly construction creep and change orders. If you plan enough lead-time for your project, you’ll save time, money, and headaches. You’ll have plenty of time to consider various options, materials, and elements carefully. So by the time you’ve arrived at the perfect design solution and investment level for your space, you’ll have your planning well in hand and the peace-of-mind that you’ll be getting an outstanding result. What landscape project are you thinking about? It’s never too early to have a discovery conversation with Arbor Hills Trees & Landscaping in Omaha, Iowa and the surrounding areas.